Sawamura Seiji is known as Mad Dog by many people and is said to have the “Devil’s Right Hand”. However, this delinquent isn’t what everyone thinks he is. Being dumped many times by many girls because of his reputation, all he really wanted was a girlfriend. However, what he got wasn’t exactly what he had in mind. Kasugano Midori has always had a crush on Seiji, knowing that seiji was a much kinder person than what everyone thought. Unfortunately, being very shy and timid, she could never tell Seiji her feelings for him. Now, here’s where the unexpected happens. One day, Seiji wakes up to have Midori as his right hand! Ok, don’t stop right there. It’s not what you think more than likely. 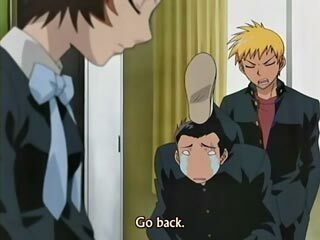 This was actually a very humorous and unique anime that I will probably end up watching a few more times. The story may seem weird, but it is something original, which doesn’t happen to this extent very often. Also, it isn’t some major etchi “fan-service”, even though it has a little etchie. The whole story is basically about Seiji and his life with Midori as his right hand. You would think that the goal of the story would be to return Midori to normal, but Midori throughout the story has a strong desire to stay as Seiji’s hand. This means that there really isn’t much of a global goal in the story, but if you can get past that you should have no problem enjoying Midori no Hibi (Midori Days). Also, when Midori becomes Seiji’s right hand, she almost completely loses her timidness and expresses her feelings to Seiji in the first episode. Midori, being in love with Seiji the whole time, causes a lot of interesting conflicts and events that I will leave for you to find out. 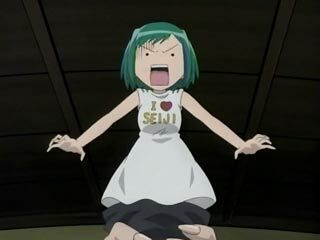 Unfortunately, Midori no Hibi (Midori Days) lacks a little in the character design department. It’s not that the characters aren’t unique and interesting, it’s that a lot of times certain features on the characters aren’t drawn that great. Also, the shading of the characters wasn’t always that great either. Sometimes the shadows were done very nicely, and sometimes they weren’t. However, that was really the only thing that bugged me about character design. Don’t’ get me wrong, the graphics are still above average. Also, the scenery and everything else is wonderful and makes up for the few flaws in the character department. Remember though, looking at the screenshots is always the best way to get a good view on the graphic quality. Character voices, sound affects, and background music are all very good and there really isn’t much I can criticize about them. The background music pretty much always suits the current event in the series. Also, I want to say that the background music is also great and that the OST is worth getting a hold of. 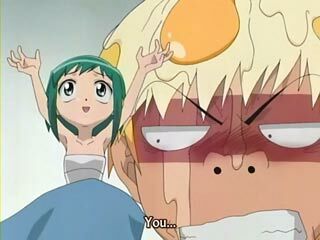 Midori no Hibi (Midori Days) is a great anime, being a short, original series that is sure to entertain you. Also, if you heard that it was an etchi anime, it is, but to an extent. There really isn’t that much etchi in it, and if there was I may have gotten a little sick of it. One last thing I would like to say, is that the ending doesn’t turn out completely how you would think it would. In a way it was sort of disappointing, but it really wasn’t a bad ending…just an ending that made me think how it would have been if it turned out the way I thought it would. Anyways, I will end my review by saying that Midori no Hibi is a definite buy.